Car Hire at Kuala Lumpur Airport - Cheaper prices for estate, Minivan, SUV & MPV rental in Kuala Lumpur. 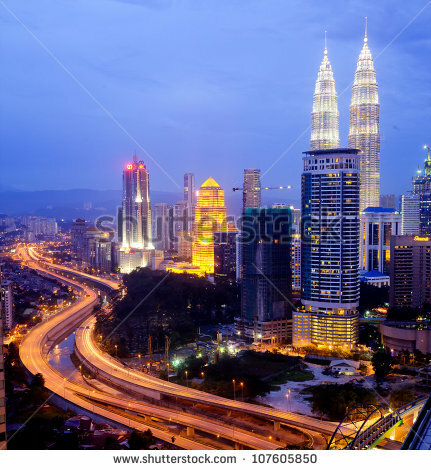 Compare cheaper car hire at Kuala Lumpur Airport in Malaysia. Cars are bookable at both the main International Terminal as well as the Budget Terminal, so please check your flight information carefully, as the two terminals a re a bus ride apart. We work with top names in the business, that include the likes of:- Hawk, May Flower, SMAS and Kasina.. With prices discounted, look no further for a good rental deal with an all inclusive rate. If staying in and around KL we advise adding Sat Nav to your booking, this can be added during the booking process as an extra. Some of the many cars on offer include the Toyota Unuser, Hiace and Innova a small MPV. The local Proton provides choice with the Saga and larger Myvi. Being Asia we also have a wide range from Honda and Nissan not forgetting Suzuki. If you are in Kuala Lumpur on business them make a good impression with something from our prestige or luxury vehicles such as the BMW 5 series or the convertible Mercedes automatic. Kuala Lumpur International Airport is one of the best looking international airports in the world, being an awesomestructure made of glass and steel. A low cost terminal is not so pretty. It is used currently by Air Asia, for one. Yes, an airport can be green. KLIA has been awarded a Green Globe 21 certificate, making it the first environmentally friendly airport in the world. KLIA is physically-challenged friendly with ramps and elevators, restrooms, telephones that are easily accessible to all. Do notify your airline in advance to request complimentary ground assistance. Kuala Lumpur Airport sets there standards high and staff are waiting and ready to assistand take care your every need. Get discounted SUV and MPV deals in KLIA, one and two. 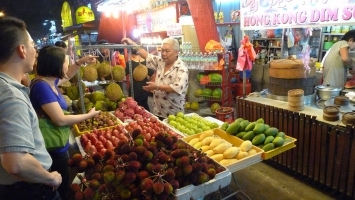 Save on driving away from Kuala Lumpur Airport in a minivan. Collect vehicles at either KUL Airport or downtown Kuala Lumpur. If you prefer, we cam arrange delivery of your car to your hotel or apartment. At Kuala Lumpur Airport we offer a wide choice of vehicles, from budget economy options through to MPV's, 4x4 Jeeps and luxury and autos. Receive an email quote. 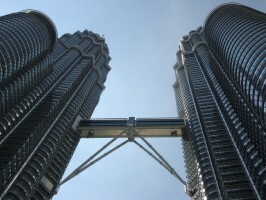 Most people head for the Petronas Towers, but you need book a spot if want to go up high. 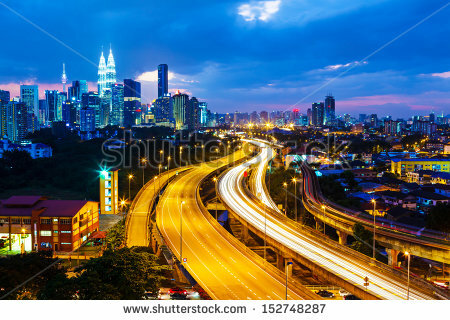 Many great places to visit in Malaysia combined with superior road conditions make a car rental holiday in Malaysia a dream. Visit nearby Genting. It is all uphill so you might consider a 4x4 rental, Genting can be cold, so do bring some warm clothing plus some extra money if intend playing the tables in the casino. If not yet booked your hotel, then check the Agoda link at the top of this page, where we have special rates for such hotels as the cheaper Tune Hotel at the airport and downtown KL, to the more salubrious Traders Hotel.